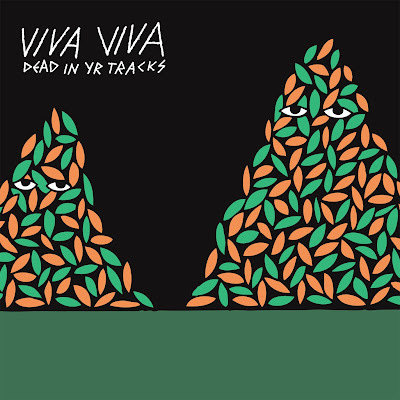 STOP WHATEVER YOU'RE DOING RIGHT NOW, AND GO CLEAR YOUR CALENDAR FOR FRIDAY MAY 23RD. THERE'S A PARTY AT THE MIDDLE EAST DOWNSTAIRS AND WE WANT YOU ALL TO BE THERE!! 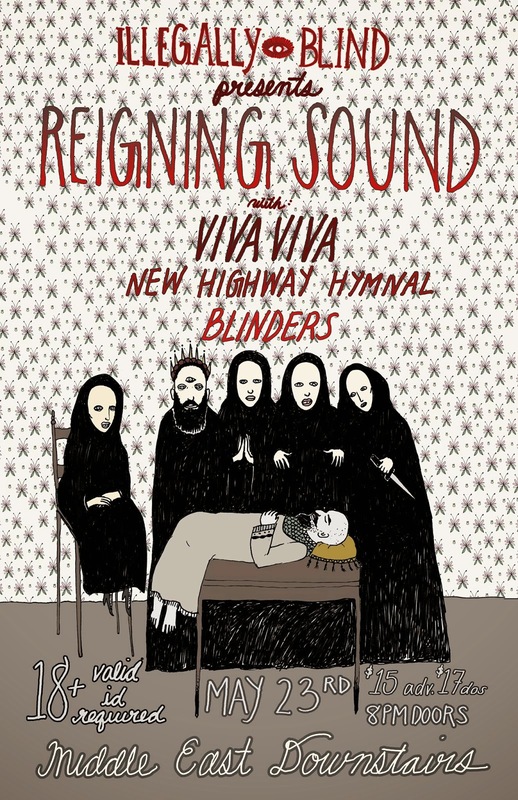 ILLEGALLY BLIND HAS PUT TOGETHER AN EPIC LOCAL BILL (NOT TO MENTION THAT SWEET POSTER FROM BILL CRISAFI), IN SUPPORT OF MEMPHIS GARAGE LEGENDS, REIGNING SOUND, WHICH INCLUDES BLINDERS, THE NEW HIGHWAY HYMNAL, AND OF COURSE, YOUR FAV'S VIVA VIVA. WITH SPRING HERE, AND SUMMER RIGHT AROUND THE CORNER, COME OUT AND PARTY, AND GET ALL HOT AND SWEATY WITH US!! THE JAM STARTS WITH DOORS AT 8PM. IT'S 18+ SO TELL ALL YOUR YOUNG FRIENDS. EVERYONE CAN RSVP ON THE FACEBOOK EVENT PAGE, AND BUY THEIR TICKETS ONLINE.